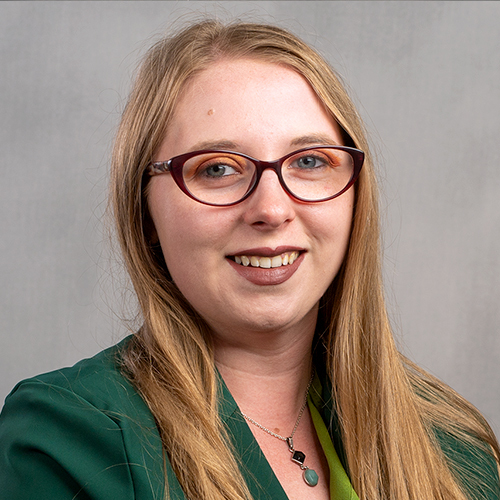 Originally from Milwaukee, Carly graduated from Illinois Wesleyan University in 2017, where she majored in Sociology and minored in Religion and Women’s & Gender Studies. As a student, Carly worked in Evelyn Chapel as a Multifaith Ambassador and was very involved in IWU Interfaith and other Spiritual Life Organizations on campus. She was also able to complete an independent honors research project which she presented at several conferences and study abroad in the Philippines. In her free time she enjoys reading, miniature figure painting, and hanging out with her fiance' and three cats.